Give the gift of Threadbare! 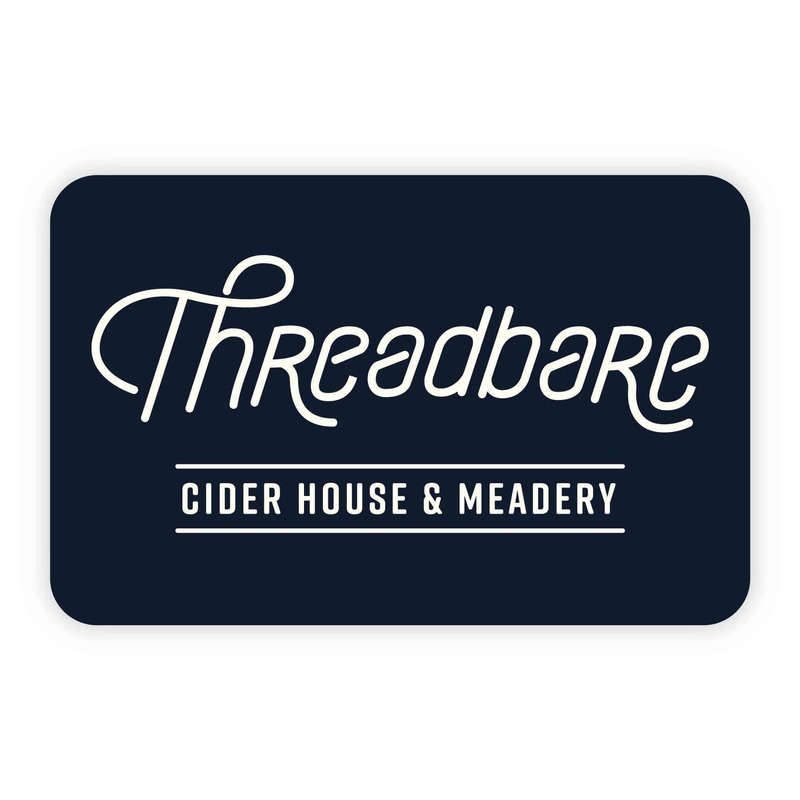 We’ll send your favorite person a gift card that can be used at the Threadbare Cider House or at Threadbare events and pop-ups in Pittsburgh. Gift Cards will be sent by default to the billing address provided at checkout. If you would like a gift card to be sent as a gift, please note this in the order notes upon checkout and provide the address and a message for the recipient! We’ll handwrite your message in a Threadbare card! At this time, gift cards are not redeemable on the online store.